Please submit your message with the form at the bottom of this page. Message: I really love your website. It's truly amazing that you'd put in so much effort for someone you're so passionate about. On a side note, I personally really wish you had more retro/rare photos of Andras Schiff! He's one of my most favorite pianists and I can't imagine a greater Schiff fan than I. Message: Elegant, rigorous and refined his Bach is like fresh water. Thanks Maestro! Message: In fond memory of Janos who became a close and dear family friend through my parents who lived in Budapest in the 80's. Our family has great memories of time spent with you. Message: Have long enjoyed János Sebestyén's art and recordings and will be giving him an international radio tribute in March 2013 in tribute to his birth. In 2012, we have lost another great artist. This site is a wonderful tribute to the man. Message: I greatly enjoyed learning more about Mr. Sebestyén's remarkable life and career. How appropriate his surname is forever linked with the great Johann Sebastian Bach, a fellow musician that would have no doubt approved of the late Mr. Sebestyén's service to the harpsichord. How few people in this world can claim to have lived such a life as his. Requiescat in pace. Message: I'm so sorry to hear of Mr. Sebestyén's passing. My sincere condolences to you and his family. Klavsenin efendisi János SEBESTYÉN. Huzur icinde uyu. Plaklarda ruhun her daim yasayacaktir. Seni saygiyla aniyorum. Message: Thank you for your excellent site dedicated to János Sebestyén. I have some of his recordings, all excellent performances, and thanks to you I now know more about him. I also appreciate your fine graphic presentation of the Hungaroton albums, so many of which are unfortunately now unavailable. Greetings from Brazil. Message: Ha valaki elmondhatja, hogy egész életében hálával emlegethet, akkor az én vagyok, megismerkedésünk idején mégcsak "féligkész" csembalista, akivel vállaltad az együttszereplés rizikóját (ez a meghívásokra vonatkozott, mert sohasem lehetett tudni, hol akadok el az engedélyek beszerzésével, hogy végre kézbekapjam az útlevelem és elinduljak Magyarországra veled koncertezni és kis európai levegőt szívni!) Te minden voltál egyszemélyben: mentor, tanár, kollega, barát... tudom, hogy segíteni akartál rajtam, amikor itt jártál Kolozsváron, hogy ne mint brácsatanár keressem meg kenyerem, hanem minden energiámat a csembalónak szentelhessem. Ez sikerült is, igaz, meg kellett várni vele a rendszerváltást! Közös rádiófelvételeink szép száma mutatja, hogy jól dolgoztunk együtt! Azt is tudom, nagyon szerettél Kolozsvárra jönni, és nem tudtál betelni a Farkas utcai református templomba beözönlő közönség látványával, akik csodálatos orgonaestedre jöttek el legalább kétezren! Kétcsembalós koncertünk is emlékzetes élmény volt városom zenkedvelőinek! Nem tudok, és nem is akarok múlt időben írni rólad, hogyan is tehetném, amikor naponta meglátotogatlak nagyon szép honlapodon és kicsit visszautazom az időben, a 80-as évekbe, és nagyon jól érzem itt magam veled és közös ismerőseinkkel! Drága János, velünk maradsz örökre! Message: Thanks for keeping his memory alive. A remarkable man. Message: Üres lett a Fillér utca! Message: Sokat tanultam. Ön által zenéről, a világról, utaztatott a Rádió hullámain. Köszönet érte! Message: Thank you for sharing his music with me and the world. Message: Nice website! It's amazing to get information about clavecins like this. Message: Nyugodjon békében, csodálatos tanár és rádiós volt! How nice to have found your website. Els and I are in Budapest from 19 to 22 October. Would love to catch up. Are you at home in the afternoon of 19 or 20 October? Message: From Jeno Donath's oldest niece comes greetings. I hope you are very well and want to say hello from Philadelphia!! Much love for all the memories. I once visited with you and your mother... my father - Andre - was Jeno's brother! Congratulations a lot on a long and productive life, many years to come! Long Live to the Music! Message: Hello János Sebestyén! I don´t know if You remember me! When I was young You visit Engelbrekts church of Stockholm for an organ concert. My father Professor Henry Lindroth was at that time organist in that church and also professor in counterpoint at Royal School of Music in Stockholm. I myself remember You and even later when I visited Your lovely country and You met me in Budapest and offered me one of Your soups in Your home! Nowadays I am retired from my lifework as professional conductor for chorals and orchestras in northern part of Sweden. I am now this day thinking of You and have also listened to Your performances in YouTube! I remember Your recipe of goulash-soup that You offered me long times ago! Music is life and the future! All my good wishes for You! Thanks from Staffan Lindroth (staffan.lindroth@telia.com). Message: After 40 some years I have replayed my Dittersdorf 33 1/3. The harpischord is wonderful, but the sound mixer should be shot. The orchestra is way too much emphasized at the expense of the harpsichord. Still I enjoy. Születésnapod alkalmával eszembe jutott a sok szép közös produkció. Message: János, talán még emlékszel rám, de ha nem akkor is jó egészséget, munkakedvet kívánok, és szeretnénk a zenéd még sokáig hallani. Message: I wish you Happy Birthday, Strong Health, Much Love, Much Creative Forces and Rich Art Experiences. Message: Congratulations Mr. János, I'm just today knowing about your work and I'm birthday too, am a beginner in the world of keyboards, I'm loving your works, is amazing! Message: Birthday greetings János. My wife and I discovered on vinyl your Turnabout recording of Handel Harpsichord Music. We can't stop playing it. Message: Meilleurs voeux pour votre anniversaire (je suis un ami de Georges Athanasiadès et Harrietta Krips). Message: Wishing you a happy birthday. What a joy to discover your website, as I try to discover more about the organ-culture of Hungary. Message: I was so happy to see your web site has pictures of Dr. Jeno Donath. He was the orchestra conductor at the high school I attended in Philadelphia from September 1964 to June 1968. I was fortunate enough to be a trombone player in the orchestra, and I have fond memories of Dr. Donath. It was many years ago, but I think of him still. What a wonderful man he was, so intelligent, dedicated and pleasant. I remember some of his compositions that we played in our yearly Musicales. "Finlandia" and "Tribute to Sousa" were my favorites. Thank you for these photos. They brought back so many memories! Message: Tisztelt Sebestyén úr! Ma egy rádióbeszélgetés felvételén (Civil Rádió) Horváth Anikó beszélt sok szeretettel Önről. I wonder if you still remember the time when my father recorded with you the C major Sonata from Vivaldi?? My father and you recorded the slow movement and everything was perfect except on a certain place the recording engineer thought just before the recapitulation the two of you could do a little more or less rit... So my father said softly so nobody could hear it: "just watch what I am going to do...", and he played the piece again in a completely different style!! You followed him absolutely perfectly, but the whole recording session stopped for an hour because everybody was discussing which version was better, and they could not decide which version to keep. Nagyon szép ez a honlap. Sok szeretettel üdvözlünk, reméljük hamarosan újra találkozunk, keresünk telefonon. Sok mindent, szépet és érdekeset megéltél. Kívánom, hogy ez az életerös folyamat ne törjék meg. Várom az új beszámolókat és képeket. Great to see you are still going strong. Same here!!! I remember well the times at your place and with Geoffrey Tozer, also Aladár Pege. I'm improvising at the piano. My current 'hero' is Art Tatum of whom Horowitz said that if he took up classical piano, then many colleagues would have to resign, listen to his 'Tea for Two' on YouTube. Get yourself on there too!!! Any news of Zoltán Zorandy? It is so interesting to look at your home page. See you tomorrow in Budapest! I was very moved when I found your site and your picture. I don't know if you remember me, I am Ema, Gualberto Talamás' wife. 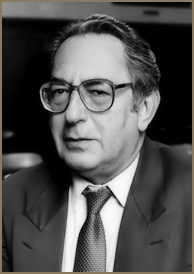 He was Ambassador of Uruguay in Hungary between 1986 and 1989 and I believe you know that he passed away in May 1989. I always enjoyed going to your home so very, very much! Only a few days ago I was remembering the Christmas tree on the grand piano the whole year round. We had a wonderful group, with the British Ambassador Leonard and Elizabeth Appleyard, the Australians Oliver and Ross, and the Canadians Robert and Gillian Eliott. We often enjoyed your generous hospitality and I was delighted to see the pictures of our friends Peter Unwin, Italian Ambassador Nitti, and Judit Makó in your well-remembered home! Let me congratulate you on all the awards you have received both in Hungary and abroad. It is really impressive. I send you my best regards and a big "abrazo". Message: HOW ARE YOU!!!!! I wish you all the best. Meilleur souvenir. Message: Viva János Sebestyén. Happy birthday excellent harpsichordist. Message: Happy Birthday Mr. Harpsichord King. I had to check out your wonderful website. Very well set up. Köszönjük a tegnapi karácsonyi zongorázást és remélem mai napja jól telt. Scoperto per puro caso il tuo sito (molto ben fatto) sono lieto di poterti inviare il nostro piú caro saluto. Cristina ed io contiamo di incontrarti a Budapest, ma sarebbe meraviglioso ascoltarti ancora a Milano. A piú di vent'anni di distanza il ricordo delle tue splendide esecuzioni a San Maurizio-Milano e nell'abbazia di Serravalle Scrivia è ancora vivissimo. Un abbraccio stretto e arrivederci presto. Just listened to Hasse Solo Organ Concerto # 3 on 1680 Aebi @ St. Georges, Ernen, Suisse. Wonderful playing, it was a pleasure. Long Live the Pipe Organ. I grew up around cinema organs in England as a child and have worked on a number of instruments in Winnipeg, Canada. Message: How do I get in touch with you? And how are you? (The photo doesn't show whether the Xmas tree is still on the piano.) Remember laughter in S Elpidio? I never cease to be inspired and instructed by your wonderful musicianship and harpsichord wizardry. Thank you for having been a large reason for my pursuing this instrument professionally! Sok szeretettel olelunk es kivanunk minden jot az Ujevre, egeszseget, meg sok sikert eletedben. How are you? It was very happy time for me to meet you and to speak in Siófok! We met with Valia Ilieva and it was a good moment for her to remember the time that you and K. Iliev spent together in Budapest! She sends you best regards. Message: Dear mister János Sebestyén!!! Do I have a possible to take some lessons a you? I live in Riga, Latvia. I finished music Academy but I would like to get professional harpsichord education. Reply please me... pracht@inbox.ru. Many years ago I had 33LP's of "J. S. Bach Music For Solo Harpsichord" and of "Handel Harpsichord Music", both recorded by you. Recently I found them on your website (excellent site) as VOX/TURNABOUT #'s TV-S 34369 and TV-S 34448. I understand from Mr. Tifft that you are "amazed that anyone actually likes these old VOX recordings". I also am amazed, Maestro Sebestyén, but my amazement is that such fine recordings are not in critical popular demand. I have listened to them many, many times, and each time am filled to the brim with inspiration and with a deep sense of appreciation for your passionate mastery. Thank you for making these "old recordings", Maestro. Message: I encountered Sebestyén's playing with the same VOX record (TURNABOUT TV-S 34369). My feelings were the same, the harpsichord sounded wiry, but I KEPT listening... the interpretation of the Toccata on the recording is superb. Message: Kedves Mester, Nagyon tetszik a honlapja! Message: I happened to meet Mr. Sebestyén on a flight from Frankfurt to Tokyo (May 3). It was really nice to see you and I hope I can listen to your concert here in Japan! Message: While in Budapest I am happy to see your homepage and to see you. To be able to wish you all the best and to express my admiration for your tremendous creativity! Message: I am so glad to find this page. In the near future I hope to travel to Budapest. I hope that I will be able to attend a concert in which Mr. Sebestyén is performing. Message: Hi, Szervus Sebi and best remembers from our time together and musical collaboration in Budapest in 93-94! Message: I think it is great that you dedicated a place to the oeuvre of Mr. Sebestyén at the internet and I hope it will be filled with lots of interesting details about this great performer and his vast oeuvre.